Stamford Topographical is a recently established division of EAS, a civil engineering design consultancy specialising in transport planning, highway access and design. Originally, EAS outsourced its topographical survey requirements, but found it more efficient and reliable to undertake such surveys in house. A topographical survey is a necessary preliminary to all civil engineering and construction projects. As referrals from topographical surveyors are an important source of new business leads for the parent company, EAS saw the value of setting up a separate division specialising in this area and giving it a distinct, high profile identity. 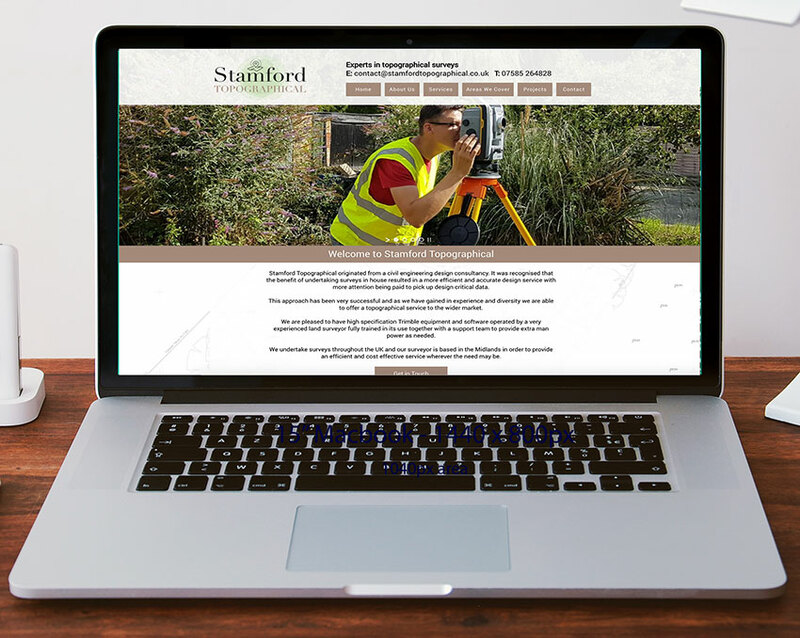 The brief therefore was to create a stand-alone corporate identity, website and marketing materials that would position Stamford Topographical as an independent business partner of EAS. To give a professional feel to the division the agency created a logo with a modern serif font and a stylised map pointer icon on a green field. This provided the graphic template for the website, which serves as a showcase for the division’s services and successful projects, and reinforces the professional design feel with a letterbox style slide show and a muted grey on white map as a graphic background. 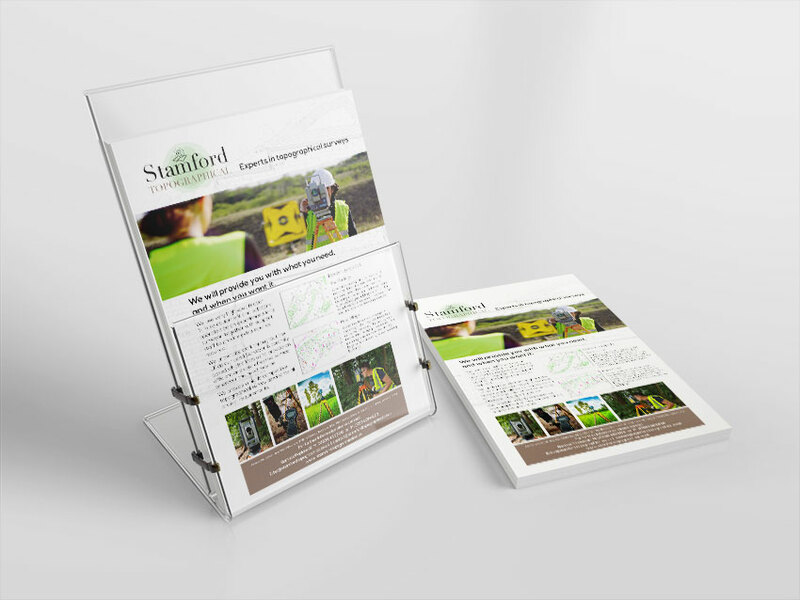 The new corporate style has been rolled out across both digital as a PDF mailer and printed format as a promotional leaflet, which sells the division’s services, as well as matching business cards, letterheads and report folders.